(CBS/AP) WASHINGTON - The Obama administration, roiled by the first killing of a U.S. ambassador in more than 30 years, has begun what appears to be a terrorist hunt in Libya, as evidence mounts that the deaths of four diplomatic workers there were perpetrated by well-armed thugs and not an out-of-control crowd. Mr. Obama thanked Libyan President Mohamed Magariaf for his condolences over the deaths of U.S. 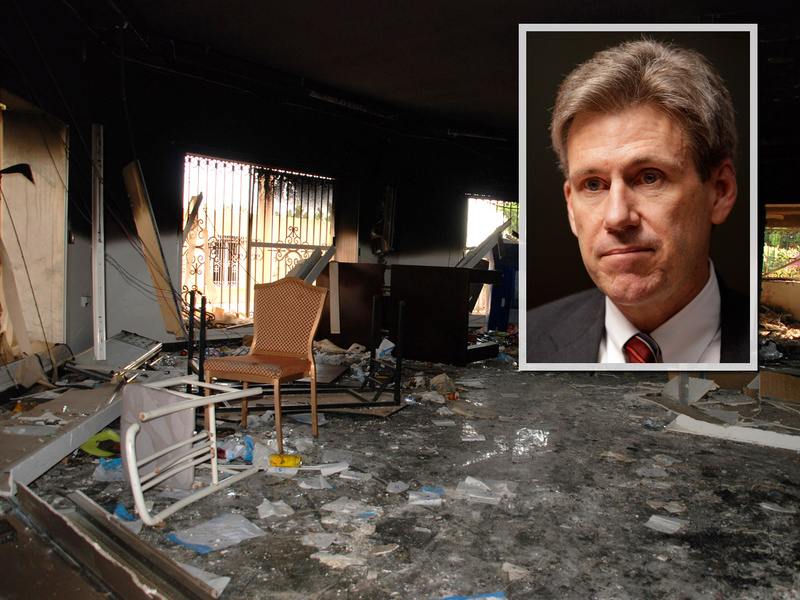 Ambassador J. Christopher Stevens and three other State Department officers during the assault on the U.S. consulate in Benghazi Tuesday. The White House says the two leaders agreed to work together to bring the attackers to justice. Three Americans were wounded, U.S. officials said. Stevens is the first U.S. ambassador to be killed in an attack since 1979, when Ambassador Adolph Dubs was killed in Afghanistan. Three other Americans were also killed and the State Department identified one of them as Sean Smith, an Air Force veteran who had worked as an information management officer for 10 years in posts such as Brussels, Baghdad and Pretoria. Smith was also well-known in the video game community. The identities of the others were being withheld pending notification of relatives. "The mission that drew Chris and Sean and their colleagues to Libya is both noble and necessary, and we and the people of Libya honor their memory by carrying it forward," Clinton said.